Google's X lab has teased a smart contact lens that is designed to help diabetics measure their glucose levels. The company said in a statement that it is currently testing prototypes of the lens. Google said the lens uses a tiny wireless chip that is embedded into the lens. That chip is linked a glucose sensor, also in the lens. In the announcement, the company said its scientists had been looking at ways of measuring glucose levels via various bodily fluids. According to Google, the best way it found was tears. However, short of helping people cry on demand, it wasn't the best way to constantly take an accurate reading. The lens is based on that research. If it reaches the market, it will be one of the smallest pieces of wearable technology available. It could also be one of the most crucial too. Google has said that the lens is capable of taking around one reading per second. 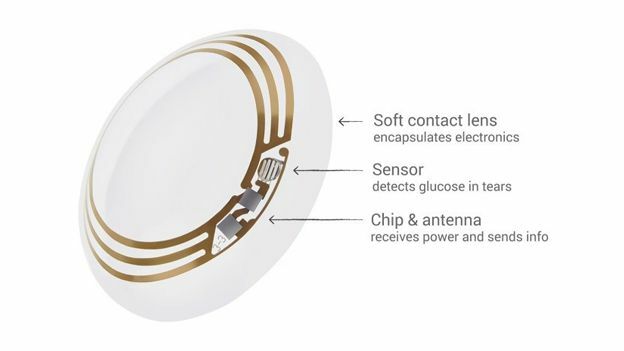 The next version of the lens will come with tiny LED lights to alert wearers when their glucose level hits various levels. According to Google, the next stage is working with the US Federal Drug Administration to turn the prototypes into read products. It is also working with various partners to product devices that will be able to be distributed to diabetics. The company said the partners “will use our technology for a smart contact lens and develop apps that would make the measurements available to the wearer and their doctor”.